Tensions disks control the amount of pressure applied to the thread for an even feed to the machine needle causing an evenly formed stitch. Many newer sewing machines have the disks hidden inside the machine casing. On machines with hidden tension disks, there is usually electronics controlling the tension on the disks. Always have the presser foot raised when threading the sewing machine so that the disks are not engaged and are open to accepting the thread. "Righty Tighty, Lefty Lucy" refers to turning the adjustment to the right to tighten the upper thread tension and turning the adjustment to the left to make the upper thread tension looser. When the upper thread lays on top of the fabric without going into the fabric or not far enough into the fabric to be even from both the bobbin and upper thread, turn the tension to the left to loosen the upper thread tension, which will allow the thread to feed into the fabric. When the upper thread goes too far into the fabric or leaves the bobbin thread laying on the fabric, turn the adjustment to the right to tighten the upper thread tension, which will tighten the upper thread tension and draw the bobbin thread up into the fabric. 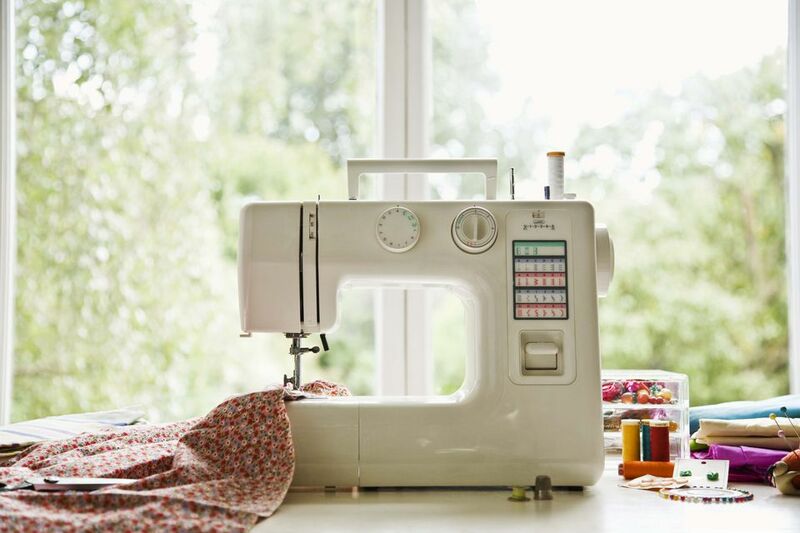 Always follow the information provided in your sewing machine manual. Clean the disks with a soft brush to prevent dust and lint from building up between the disks. Always check for a loose thread stuck in the tension disks when adjustments are not making a difference.